Chain saw operators involved in logging, tree pruning or land clearing frequently work in hazardous overhead conditions. Dead branches and other debris usually remain hidden and often fall without any warning. That is why wearing a chain saw helmet is crucial for personal protection. Not only does a chain saw helmet prevent grievous injuries caused by falling objects, it also protects the user’s head from the fatal impact of a chain saw cutter bar in the event of a kickback. However, if the chain brake failed to stop the cutter chain during the kickback, the rotating chain could easily cut through any safety helmet. Professional users might be interested in the Stein Super Plasma Tree Climbing Helmet. Modestly priced, it is compact, lightweight (350g) and comfortable to wear. The ten vent openings fitted with protective grilles ensure effective ventilation together with reliable protection (EN: 12492-2000). 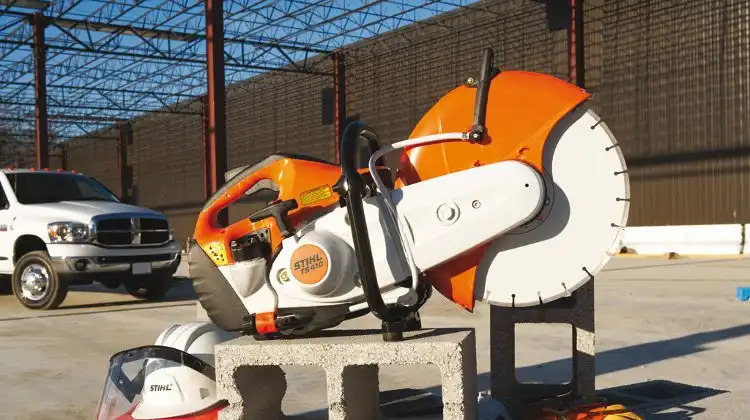 This chain saw helmet of Italian origin also showcases Up-N-Down technology – an efficient size adjustment system that allows quick and easy fine-tuning of the helmet’s height and tilt. Its inner lining is constructed with two layers of Coolmax using an open cell filter system, resulting in rapid moisture transportation that prevents overheating. The anti-allergic and odour resistant liner can also be removed and washed (by hand or at 30 degrees in a washing machine). On the other hand, non-professionals would find the ABBEYS TROJAN 23 Helmet Combination a great buy. Specially designed with occasional users in mind, this model possesses all the standard attributes of a safety helmet at only half the price! The helmet comes with ear defenders and a wire mesh visor as well. It conforms to EN397, EN352-3 and EN1731/S safety standards. Here’s a word of caution though: no matter how superior your chain saw helmet is, it is still susceptible to ultraviolet and chemical degradation, so do examine your helmet regularly. For optimum protection, replace your safety helmet if you notice any signs of discolouration or flaking.